Home > Blog > Uncategorized > Winter Sparkle! This lovely group pictured here, attended Emma’s 18th, (2nd from the left) at the Hurlingham in December just gone. The theme was Winter Sparkle, and don’t they all look magnificent? 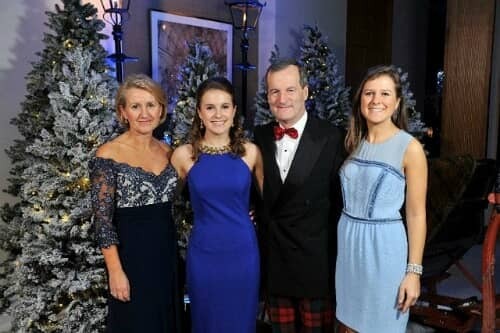 Carol, Emma’s mum, (pictured on the left) wore an evening gown from us in navy and lace, full length. She couldn’t have looked more perfect in my opinion!